According to the U.S. Census, fully one in five people—20% of the nation’s total population—are, in some way, currently disabled. An expansive group that encompasses folks across all categories of race, gender, age and economic class, it might logically stand to reason that such individuals should have no problem seeing themselves represented onscreen in movies and TV; it’s a huge demographic, after all. But just a fleeting glance proves that this isn’t the case. In recent years, Hollywood has undoubtedly made great strides to more fully represent the stories of women, people of color and LGBTQ+ people onscreen. But incorporating disabled talent into key roles both in front of and behind the camera has been much, much slower, boiling down to issues of access—in multiple senses of the word—for the disabled and non-disabled alike. 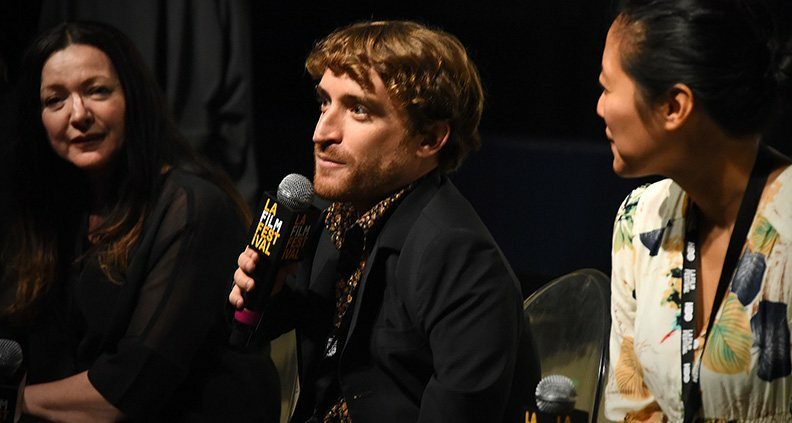 Such was the topic at the Film Independent We The People panel “The Invisible Minority: People with Disabilities,” which took place at the 2018 LA Film Festival in September. Watch the full panel, and read about some of the key takeaways, below. Moderated by actor and writer Angela Rockwood (This Close), the panel also included talent agent Gail Williamson, Monika Mikkelsen (VP of Casting, Paramount), producer Elisabeth White ((Sorta) Supportive), actor/comedian/producer Nic Novicki, Winnie Kemp (Sr. VP of TV and Film, Super Deluxe), actor Tatiana Lee (Pretty Dudes) and Steven James Tingus, Board Member of the advocacy group RespectAbility. Lack of knowledge; lack of imagination. Rockwood asked, “What do you think are the main barriers”—what’s keeping disabled actors from landing larger, more important roles? Said Williamson (the parent of a son with Down syndrome): “The lack of education is holding us back, of knowledge and understanding.” Said Novicki: “A big barrier is experience. For a lot of people with disabilities, they’re not getting the shots in the room.” Observed Lee: “A lot of times people don’t want to cast us unless a character is already in a wheelchair” instead of re-conceptualizing a character scripted as non-disabled. Getting on the call sheet. The panelists encouraged filmmakers without disabilities to think harder about populating smaller roles with authentically disabled actors, rather than defaulting to the non-disabled. The panelists agreed that they’re not calling for disabled roles to only and exclusively be portrayed by disabled actors—as in similar controversies surrounding cis actors cast in trans roles—but that for films taking place in the appropriate milieu (such as Gus Van Sant’s 2018 quadriplegia rehabilitation drama He Won’t Get Far on Foot) supporting roles could and should be cast with authentic performers. Resources for support mentioned, in no particular order: RespectAbility; Lights, Camera, Access; Media Access Awards; the Writers Guild of America’s Writers with Disabilities Committee; Global Disability Inclusion and more. Tingus also stressed the importance of putting more people with disabilities in positions of power to do the actual hiring. Everyone “plays their part.” Tingus summed things up by stressing the importance of disabled persons confidently asserting their right to be part of the industry. “I do consult, and I advocate for myself on behalf of the industry,” he said. Echoing the importance of representation on-screen and off, he said: “A mind once stretched by a new idea can never return to its original dimension. To learn about Film Independent’s own Artist Development labs, click here. Learn how to become a Member of Film Independent by visiting our website.